Kulczyk Investments, the majority shareholder in Polish energy firm Polenergia, does not plan to sell its shares in the company in the tender offer announced last week by state-run utility PGE, dealing a blow to PGE’s ambitions. 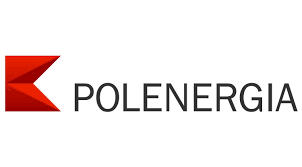 “Polenergia is a long-term investment for the Kulczyk family and thus they do not intend to respond to the share tender offer,” Kulczyk Investments, which owns a 50.2-percent stake in Polenergia, said in a statement on Monday. PGE offered to buy all Polenergia’s shares for 16.29 zlotys each, which would value the transaction at around 740 million zlotys. A PGE spokesman was not immediately available to comment. PGE can still go ahead with the tender offer, but, as things stand, it could not acquire a majority of Polenergia shares. By 0942 GMT shares in Polenergia, which surged last week when the tender offer was announced, had fallen by 0.86 percent to 17.25 zlotys while PGE rose by 1.1 percent. PGE, which produces most of its electricity from lignite and is one of Europe’s biggest polluters, has said the takeover would help it reduce carbon emissions due to Polenergia’s portfolio of wind farms. Shares in Polenergia have gained 43 percent since the start of the year, after a 14 percent rise in 2017. But in 2016 the company’s value slid by 61.5 percent due to the policies of the ruling Law and Justice (PiS) party, which hit investors in Poland’s wind farms. This year PiS, which considers wind farms an unstable source of electricity, has taken a step back and proposed to change some of the regulations imposed in the past years. “The reasons for the decrease in Polenergia’s value are known, but is is difficult to blame PGE for using the market opportunity,” said Pawel Puchalski, head of equity research at DM BZ WBK. The Kulczyk family, one of Poland’s richest, also owns a chemical group Ciech in Poland. 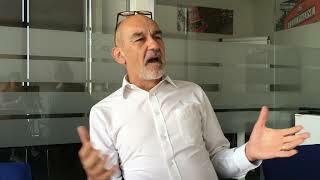 Polish authorities are looking at the sale of Ciech to Jan Kulczyk, who died in 2015, by the former government in 2014. PiS argues that the former government sold its stake in Ciech too cheaply to Kulczyk. Other shareholders in Polenergia include China-Central and Eastern Europe Investment Co-operation Fund, which has a 15.99-percent stake, as well as pension funds owned by Aviva, Nationale-Nederlanden and Generali.